With the support of UN-Habitat, HRF assisted with enhancing the longer-term employability of youth in sectors with growth and employment potential through relevant skills development in 2016 Mogadishu Somalia. With the support of UN-Habitat, HRF assisted with enhancing the longer-term employability of youth in sectors with growth and employment potential through relevant skills development in 2016 Mogadishu Somalia. Strengthening the capacity of the youth simultaneously helps in providing a greater level of economic security for them and their families. Crucial element to this was the construction of One Stop Youth centre has been constructed by and for the youth strengthening their capacity as social, economic and political actors in their communities. “This programme by UN-Habitat is unique and from which we have been able to derive fun, happiness and many other benefits. We look forward to the many activities to be held at the centre, including vocational skills training. This is the first time that we have a centre that is dedicated to the youth, is run by the youth and addresses our needs.” Hussein Mohamed Salah, a Somali youth participating in the event. HRF has been playing a foundational role in supporting the sustainable economic and social development of the Somali people. After the close of the SECIL programme in March 2015, HRF continued to work with UN-habitat to improve the livelihoods of the Somali people through the participation in the United Nations Joint Programme on Youth Employment. This project focused on building the capacity of the local government institutions and economic interests groups in Mogadishu, to strengthen economic development that generates employment opportunities for all. One specific area focused on engaging the youth in participatory planning processes for the construction of a “One Stop Youth Centre”. The youth were put at the helm of decision-making, emphasizing a youth-owned and youth-led process which strengthens their capacity as social, economic and political actors in their communities. As an implementing partner of UN-Habitat, HRFs support was essential in enhancing the longer-term employability of youth in sectors with growth and employment potential through skills development. 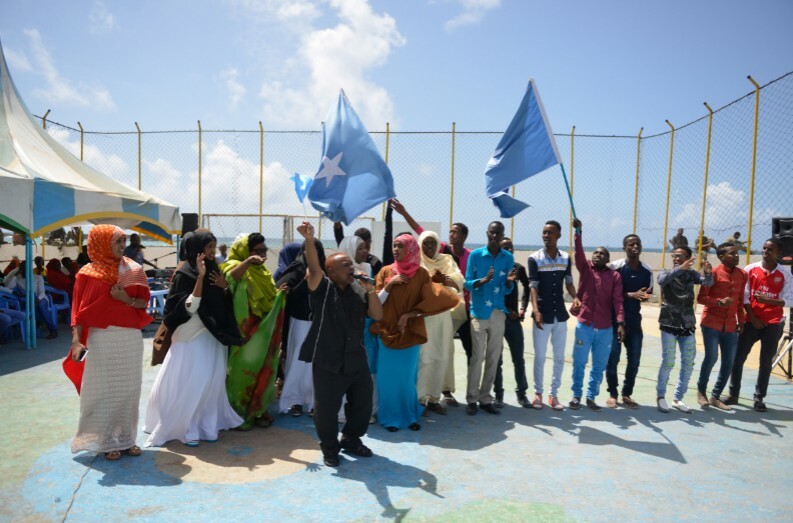 With youth constituting nearly 70% of the population in Somalia, this program was important to strengthen the capacity of the youth and provide a greater level of economic security for them and their families.